سواءً كنت مسافراً بغرض السياحة أو العمل, فندق سيتي سنتر بدجيت هو خيار عظيم للإقامة خلال زيارتك ملبورن. يقع الفندق على بعد 0.5km من مركز المدينة، ويؤمن الوصول إلى أهم مراكز المدينة. يوفر الفندق بفضل موقعة الجيد وصولاً سهلاً إلى أهم معالم المدينة.
. كما يقدم فندق سيتي سنتر بدجيت الكثير من الخدمات لإغناء رحلتك في ملبورن. يمكن للنزلاء الاستمتاع بالميزات التالية: واي فاي مجاني في جميع الغرف, خدمة غسيل ذاتية, تخزين الأمتعة, واي فاي في المناطق العامة, صف السيارات أثناء إقامتهم في هذا المكان الرائع. بالإضافة لهذا,تتضمن كل غرف الضيوف مجموعة واسعة من وسائل الراحة . بعض الغرف توفر حتى تلفزيون بشاشة مسطحة, اتصال لاسلكي بشبكة الإنترنت (مجاني), غرف لغير المدخنين, مكيف هواء, تدفئة لإرضاء أكثر الضيوف تطلباً. صممت خدمات الاستجمام في الفندق والتي تتضمن حديقة لمساعدتك على الاسترخاء والراحة. استمتع بخدمات لا يعلى عليها وعنوان ذو اعتبار في فندق سيتي سنتر بدجيت . Good value and friendly customer service. Only downside is room is small and no lift. Curious how ventilation is like during a hot summer. Very simple check-in/check out, good prices and close to public transport. Not particularly high in terms of luxury but still a very good stay regardless and budget friendly. My partner and I would re-visit this hotel for sure. I love that the location is within the Free Tram Zone. Although it is slightly further away from most of the attractions, I appreciate that the area is quiet and away from hair bars and pubs. Not only that, the sound proof level is good and we were able to sleep through the nights in peace. The room we stayed in was really clean and the beds are very comfortable. Toilets are well maintained, hot water heater works well. Staffs are very friendly and helpful too! I will definitely come back to stay if I'm visiting Melbourne again! Tucked in a quiet area yet very accessible to everywhere in CBD. Covenient stores are just around the corner. Staff are very helpful in getting our necessities eg. universal adapter, iron, rent-a-car info etc. Loved the rooftop area (our must hangout spot at end of day :D). Bathroom option for female is really convenient and they’re clean too. Consider if you are light sleeper. Single traveller be careful since there are bars nearby. Location acceptable because of free tram. Tourist spots in walkable distance. It was exactly what I expected and was responsible priced for what was offered. The Shared Bathroom stalls were not designed well but still fulfilled the job. Would stay again if needing short term budget accommodation. 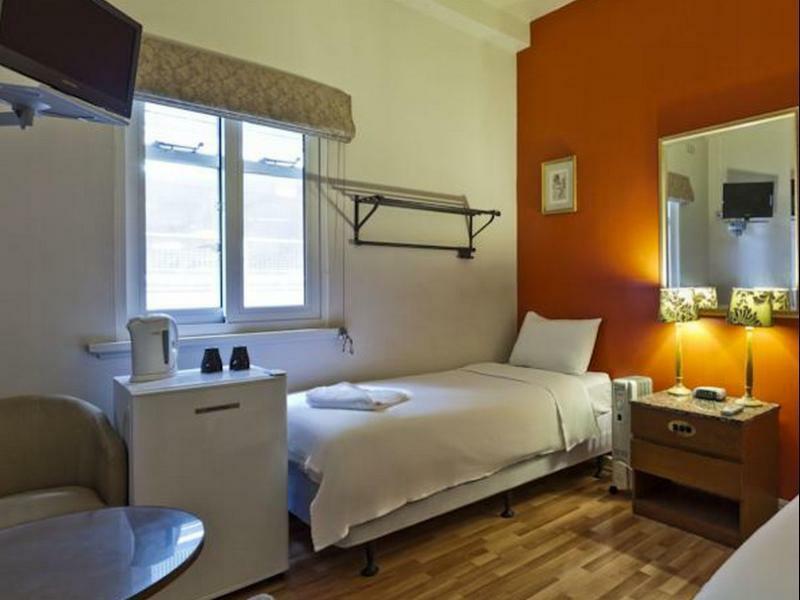 I was looking for reasonably priced accommodation that was clean with good natured staff. The price was very good, the location was very good and manager Clive was good natured. Cleaning staff good and committed with front desk staff mostly helpful with one exception. The only drawback is if you get the rooms facing the 'villagy' little collins st it can be very noisy. Did not bother me but will bother others. Great find, great location. I booked single room, it's modern style room with comfortable bed, TV,refrigerator, pot, tea &coffee. You can cook on the top floor. The Shared bathrooms are clean. It's easy for travel all Melbourne, near train station, free tram zone. You can walk to China town, St.Patrick, Cook's cottage, free museum. You can buy all famous package tour from hotel. Wi-Fi is slow. Great location. Only 10 min walk to Melbourne Criket Ground (MCG) where the start & finish points of 2016 Melbourbe Marathon were. Room was clean. Plenty of common bath rooms to use. Clean too. Excellent value for money. This place was much cheaper than the few of AnB rooms we looked at near MCG area. 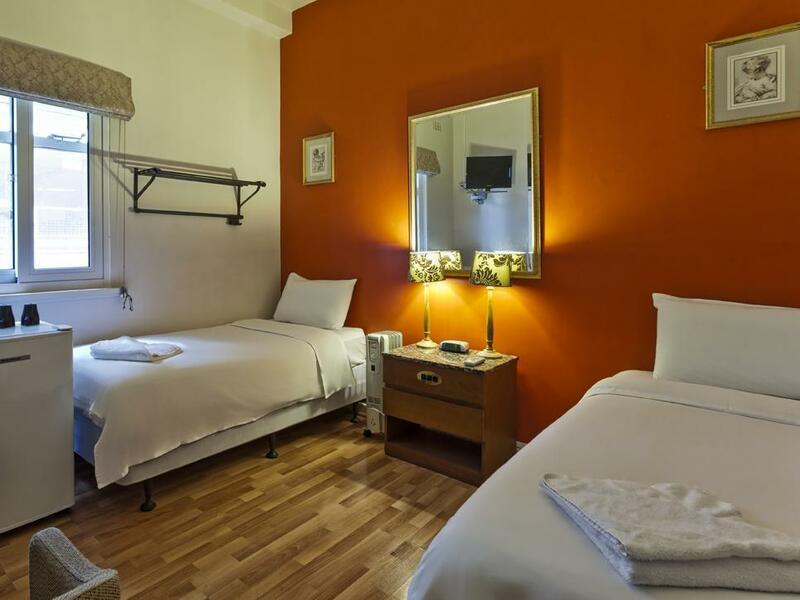 It is more of a backpackers hotel, but with very clean rooms and bathrooms. Very quiet and good guests. I booked the 2 singles room with shared bathroom. It was clean and a good size. The fridge was cold and kept my food fresh. The tv had many channels. The bed was good, pillow was alittle too thin, but they provided 2 pillows each bed, which made it up for the unfluffy pillow. The location was GOOD, with Free trams jus a few steps away. IT is not in the crowded area of the CBD, which we loved. It was peaceful and quiet, surrounded by sheraton and other expensive hotels. As the city is jus 2 tram stops away, food is everywhere. There is a 7-11 nearby. If you do not like to be amongst the busy streets of the CBD and on a budget, this place is great. It was great. For such a price I don't think you can find any better. The place was well looked after with all the shared facilities clean. The room was spacious and had a good view of the street. Wifi in the rooms were amazing too! I had some urgent difficulty with my upcoming flight, and the hotel helped me using their phone to resolve the issues which would have been difficult and expensive for me on my mobile. They printed the necessary documentation for me and were generally more helpful than I could have expected. 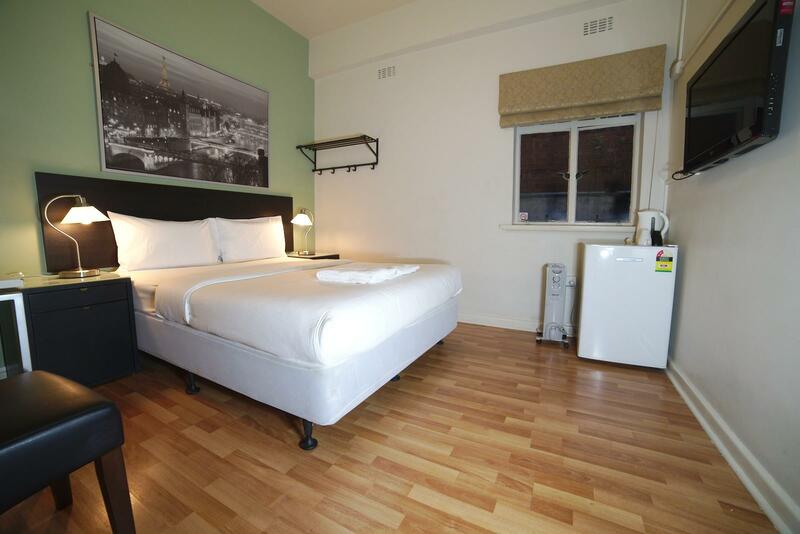 This is the best budget hotel you can ever find in Melbourne.. While most hotels do not provide free wifi, this one does.. and its a strong one.. Strong enough that I could even watch my favourite dramas and variety shows and made me feel at home! I love how they have decorated the room nicely and made everything lovely.. After a whole tiring day of tour in the city, you can expect to come back to comfortable bed and snuck in and have good night rest.. Every room has a small window and you can expect cool winds and good ventilation especially now in cold spring season.. And the location is superb too.. Just one minute.. or less, you'll reach to the Parliament Station and you can catch the Free Tram, City Circle or other trams (with Myki card) to any other places.. But just a reminder, please do not attempt to walk all the way from the Southern Cross Station at the Spencer Street (Skybus from Melbourne Airport sends us to this station) to the Hotel at the Little Collins Street, as the hotel is basically on the other end of the street.. so getting there by foot, with all our bags and heavy luggage was deadly difficult.. We did that and we was so tired that we slept in hotel for the rest of the day.. The location, is nearly opposite to the Sheraton Hotel, (most people do know where that is though) and it is near to the convenient store (7-11), as most shops close early, you can opt to have some late night supper there (Sandwiches on Wednesdays are on discount, for $2 only), and there are bars at the back lane of the hotel, so if you prefer beers, you can go there too~ You can request to change for a new towel at your fourth night there, and on the seventh night, you can request to change for a new bed sheet~ Oh and there's kitchen and laundry room at the rooftop.. so go there and have great nightview! I love this hotel and if I ever go back to Melbourne, I will definitely come back! Location was super centrally located, just 2 min walk to Parliment train station and tram station. You can even walk about CBD area very easily. so it's pretty easy to tell Taxis, or to ask for the way. 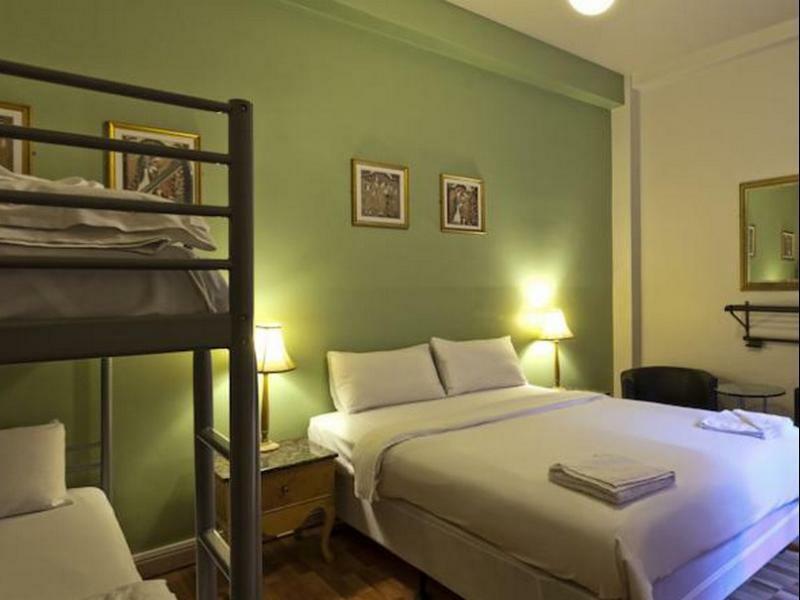 Staffs was super friendly and helpful, you can ask them for anything, and they are more willing to help :D Hotel room is extremely clean, shared bathroom could be messy sometimes during the peak hour, just try to use the multiple bathroom one, it's cleaner and nicer. Wifi internet is a bit though, can't really connect inside my room, and the connection is very slow. I recommend this hotel situated at the east end of the CBD. It was comfortable and clean and allows out of hours access by code should you arrive after 9pm. Although the bathrooms are showed as 'shared' , in effect they are large shower and toilet blocks meaning you're unlikely to be waiting long to use them. The one and one problem I encountered was from outside noise , but as it was Friday and Saturday, I guess that is only to be expected. Overall, I would recommend this hotel as a comfortable place to stay without breaking the bank!! A comfortable, clean, no-fuss hotel that enables you to live in one of the best precincts in Melbourne for a very reasonable price. My room had good clothes hanging space (with real hangers) and a window you can actually open. If you demand en suites in every room don't even bother opening the front door to this establishment. But what's the problem with a shared bathroom anyway? The facilities may be a bit old fashioned, but they're clean and well maintained. 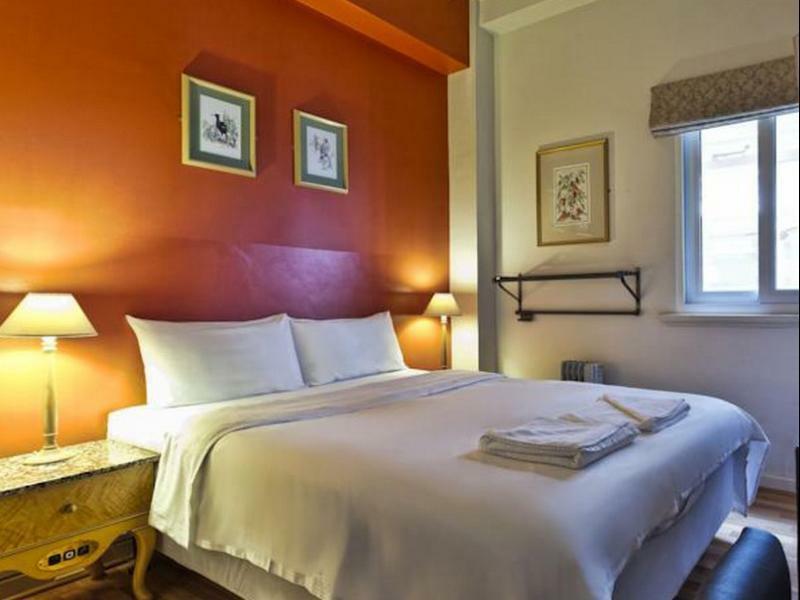 Highly recommended for travellers who appreciate good value for money.